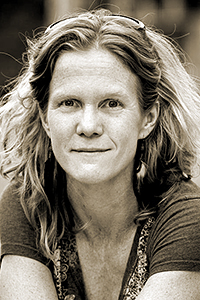 Jenny Browne is the author of three collections of poems from University of Tampa Press: Dear Stranger (2013), The Second Reason (2007), and At Once (2003). Her poems and essays have appeared in American Poetry Review, Tin House, The Threepenny Review, and The New York Times. Browne has received fellowships from the James Michener Center for Writers, the Writers’ League of Texas, and the National Endowment for the Arts. She was selected by the University of Iowa International Writing Program and the US Department of State to teach poetry in Sierra Leone and Kenya in 2012. Browne teaches English at Trinity University.